Welcome! You’ve found the authority on what’s hot in Louisville real estate. This article isn’t covering the Best Louisville Neighborhoods necessarily, which means different things to different people. Here we’re looking at the most upscale neighborhoods in the city of Louisville, Kentucky. I’ve been writing these for years. Here’s the one from 2013. Each calendar year I analyze the latest data and create this piece just for you. So, dive right in! Enjoy your time and if you have any questions, please let me know. 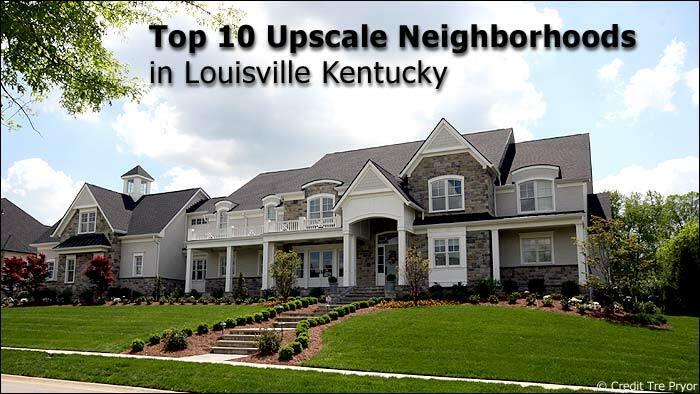 Here are the Top 10 Upscale Neighborhoods in Louisville, Kentucky for previous year. So… how does this work? Let me explain. 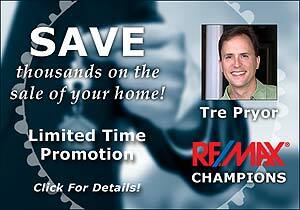 First I gather all the homes in Louisville that sold for $500,000 or more during the past year. Certain neighborhoods have different sections or even names but I sort it all out. Easy right? Well, it’s not the most involved calculation that I’ve worked on but it does take a bit of time. We do have a good number of upscale neighborhoods here in Louisville. Some of these are truly spectacular. From some traditional subdivision layouts to those with much larger lots, rolling hills and mature trees. In this year’s report, there were about the same number of luxury homes that exchanged hands. Last year 582 Louisville homes sold for a half million dollars or more. For the sake of comparison, the year before that number was 537. The data shows that people with money, market fluxuations don’t factor into their buying decisions as much as the average person. Throughout all of Louisville, 42 upscale neighborhoods sold at least three homes for at least $500,000. These are some incredible homes too. I won’t list them all here but from grand Old Louisville charmers to brand-spanking new construction out in the burbs. There’s a great deal of some affordable luxury to be found, even at lower price points. If you’d like a custom list of upscale homes for sale to match your wishlist please let me know. To make things more exciting, we’re going to count down these amazing neighborhoods starting at #10 all the way up to #1. I’ll include a great photo for each with a brief description of the neighborhood. Then, at the end, you’ll see a map with a pin to show where each of these are located in Louisville. 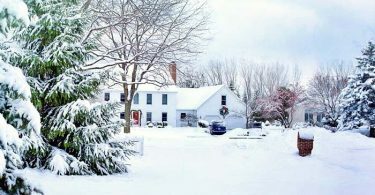 Here is a photo of a beautiful home in Bridgemore Estates. Bridgemore Estates is an upscale neighborhood located in the easternmost portion of Jefferson County off Long Run Road. The lots are large—4 to 5 acres—with about 30 home sites. This beautiful neighborhood is in a rural setting with tons of privacy because there’s no through traffic. The signature bridge (thus the name) guides you into the neighborhood. Because there’s such a small number of homes in this subdivision, they don’t often come up for sale. But as with all high-end, luxury homes, they do take longer to sell. 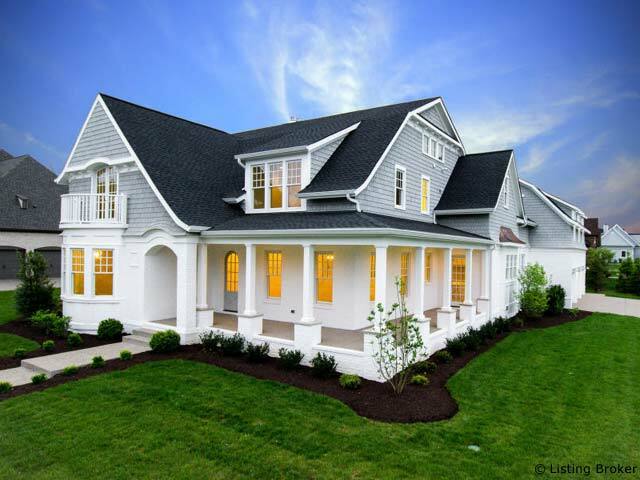 You can find a wide range of home values in Hurstbourne. But as you can see in the photo above, this grand property will be near the top of it. 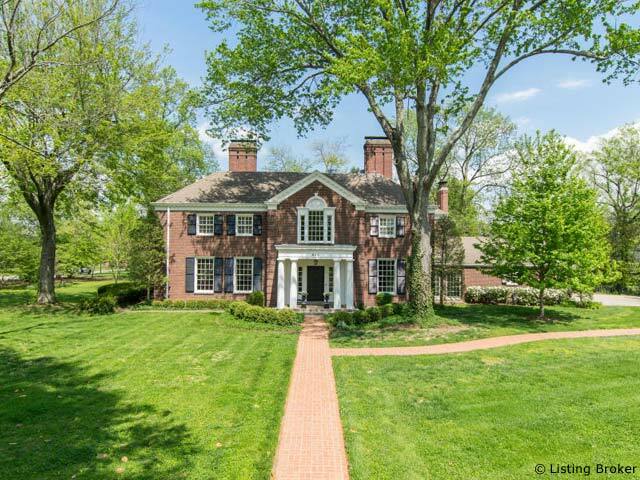 Hurstbourne has been an elite Louisville neighborhood for 40-plus years. It’s very centrally located, close to pretty much everything. Did I mention the golf course? No? Sorry! 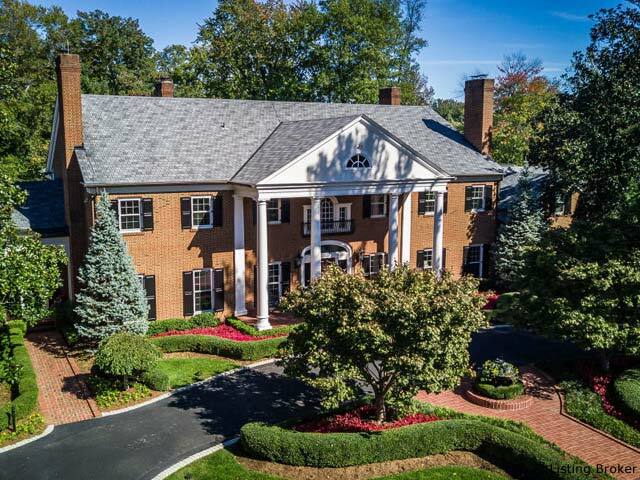 Yep, many of these homes back right up to the Hurstbourne Country Club. That’s my kind of view! Now, just because this one made the list of most expensive neighborhoods in Louisville, doesn’t mean every house is a mansion. For example, I just checked and there are a couple of homes listed for sale in the low $300,000’s. And they go up from there! Some of Louisville’s most amazing older homes can be found in the Indian Hills neighborhood. When the first big expansion of residential real estate left downtown, those with money moved northeast. First to be developed were the Indian Hills and Mockingbird Valley areas. That trend continues because next came Glenview, then Prospect and, most recently, Oldham County. All of these are northeast from the downtown. The homes in Indian Hills vary quite a bit but it’s a good-sized Louisville neighborhood with a very large number of homes. And some truly remarkable properties, too! One caveat is that a couple of decades ago, Indian Hills absorbed a nearby neighborhood to the north, called Winding Falls, but these homes aren’t nearly as grand as the luxury homes you’ll find in the original Indian Hills. Bonniewood is a very exclusive little neighborhood, near Indian Hills, but entirely its own. I’m astounded the five homes in this tiny neighborhood all sold in the same year. I mean, there are only 39 street numbers for this charming subdivision. It’s incredible but it’s little. 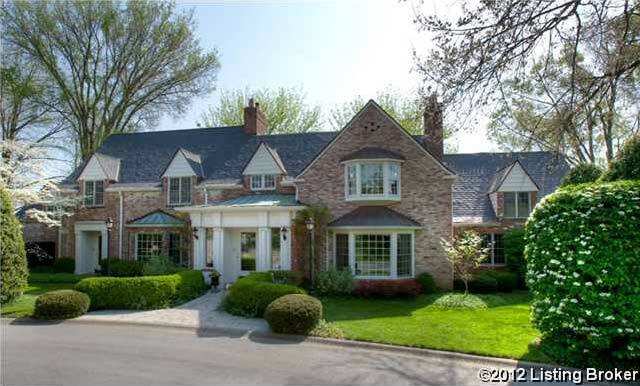 The home you see above was built in 1927 and is the largest home with on the largest lot. That certainly increases the average, right? It looks like a stately mansion you might find in England or Ireland. The Estates of Hunting Creek is the newer portion of the neighborhood with the most luxurious homes. You’ll find Hunting Creek as you move through Prospect heading towards Oldham County on Highway 42. The original neighborhood centered around the Hunting Creek Golf Course. These homes are far more friendly to a buyer’s budget than the massive homes that were built later in the Estates of Hunting Creek section. The neighborhood is quite hilly with some very steep lots. There are tons of mature trees and gorgeous scenery. It also holds a great location close to the very center of Prospect. Cherokee Gardens has the most amazing homes located in the central corridor of our city. This Louisville neighborhood is about as charming as you would gather from viewing this photo. Older homes with grand finishes and larger than average lots but still right in the heart of the city. Not everyone can afford to live here but if you have the means, you should seriously consider Cherokee Gardens. There are no cookie-cutter homes here. Instead, we see varied styles from an era when craftsmanship meant something. A few of the grandest, most extravagant properties in the city can be found right here. Check it out! Most of the high-end new construction in Louisville is located off Wolf Pen Branch Road in Prospect. Case in point: Spring Farm Lake. About 10 years ago there was an explosion of Louisville upscale neighborhoods being developed in Prospect. First came Spring Farm, then a few years later Spring Farm Lake. If you’re looking for the very latest in luxury new construction be sure to check this one out. Located near Springhurst and this area of the city has a great many amenities. It’s a wonderful location. The lots here are on the small side considering what you are paying but that might appeal to you. This home in the photo backs up to a couple of beautiful lakes and green spaces. This incredible home is much larger than it looks. Trust me, it’s gorgeous inside! Similar to the developments in Spring Farm, Glenview Park sprung up in 2014 catering to those who wanted to build their dream home and money was no object. This 40 homesite neighborhood varies their lot sizes but none are huge. Instead, they “wow” you with high-end finishes, massive vaulted ceilings and all the latest tech. When it comes to building luxury homes in the 21st Century, Glenview Park has it. Once Indian Hills started filling up, luxury builders moved northeast to the Glenview area. And just kept building these amazing, upscale homes. Glenview is technically a single neighborhood located in Louisville’s east end before you arrive in Prospect. There are several similarly named neighborhoods nearby. But don’t be fooled. 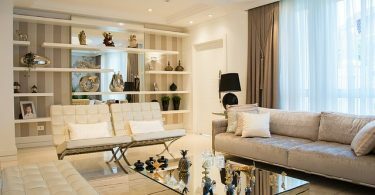 If you’re looking for the cream of the crop” then Glenview boasts some of the most amazing properties in the entire city. It’s a quiet part of town, just south of the Ohio River but still just a 20-minute drive from Downtown. Plenty of mature trees and beautiful vistas. Some of these mansions are well over a century old. Sometimes I just like to drive these streets and take in all the incredible views. 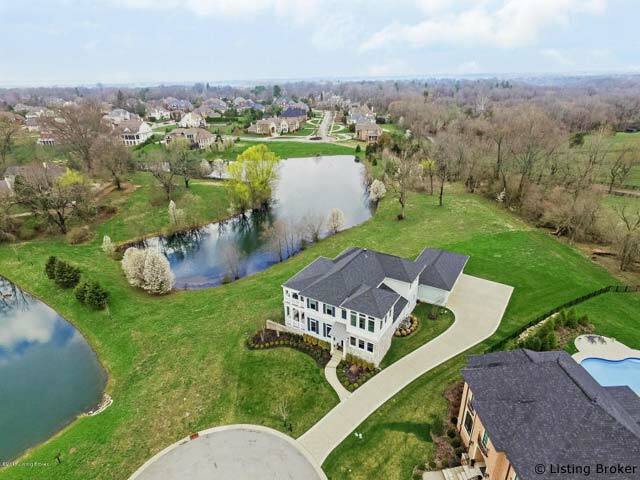 Once again Harrod’s Glen takes the top spot for the most expensive neighborhood in Louisville Kentucky. Harrod’s Glen is a fixture in this yearly report. It also came out in the top spot in 2015. Breaking ground about the same time as Spring Farm, this neighborhood is right down the road. They are literally neighbors. So what do you see when you visit Harrod’s Glen? Nothing but million dollar homes with every high-end finish you would expect. In fact, a $1,000,000 home here is the least expensive one you could find. It’s a small, traditional neighborhood where lots are roughly an acre but the homes are anything but typical. 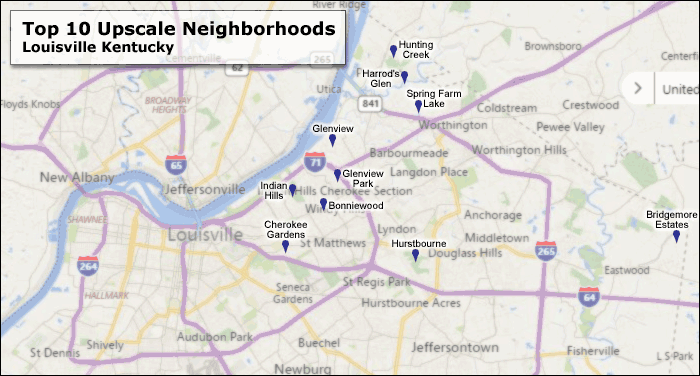 So where are these amazing neighborhoods located in the city of Louisville, Kentucky? Glad you asked! Here’s a handy map for each of their locations. As you can see by this map, most of these high-end neighborhoods will be in the northeast portion of the city. Finally, here are the rankings for the past few years. I have data going farther back but it just won’t fit. Hope you enjoyed this yearly report highlighting the best of the best in Louisville real estate. Until next year!